visit the casino or see your favorite sports team. and explore beautiful new destinations. We can plan your dream vacation. Discover our great country or explore the world. Trans-Bridge Tours offers One-Day, Multi-Day, and Air & Cruise vacations. Our professional and friendly tour planners, care about value, quality, and safety, and can plan trips to suit your individual needs, or you may join one of our pre-planned group tours. With our years of experience, we are dedicated to providing you with exceptional service. 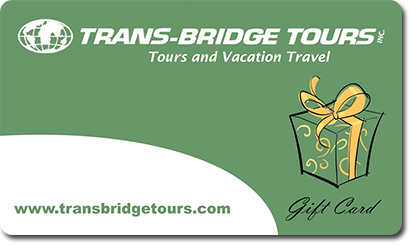 Trans-Bridge gift cards are valid for Trans-Bridge Tours’ One-Day, Casino, and Multi-Day Tours; Air & Cruise Vacations, and Trans-Bridge Lines’ New York City, Airport and Pier Transportation. Trans-Bridge Tours, Inc. strongly recommends travel insurance to protect your investment; unforeseen circumstances may occur. 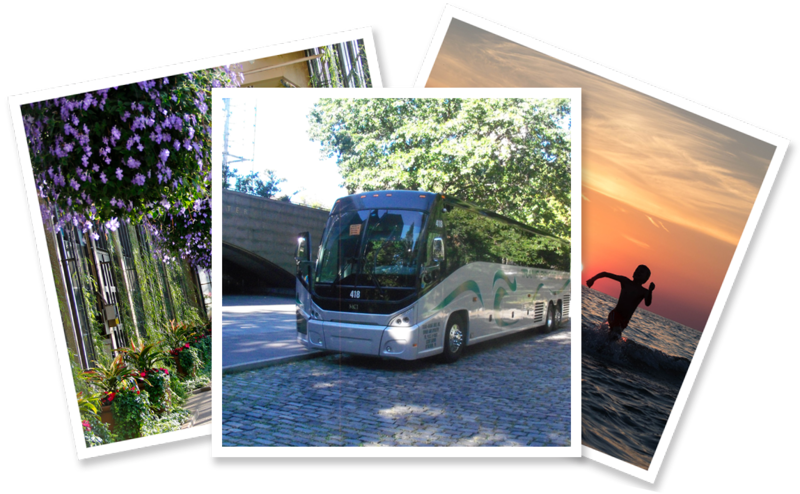 If you are a Tour Operator, Motorcoach Company, or Group Leader from out of town interested in touring the Lehigh Valley, visit our website. Daily service to New York City, Newark and JFK Airports from the Lehigh Valley area, parts of Bucks County and central New Jersey.